As you can see, there’s room at the bar to have a seat, or you can take one of the tables not shown here. 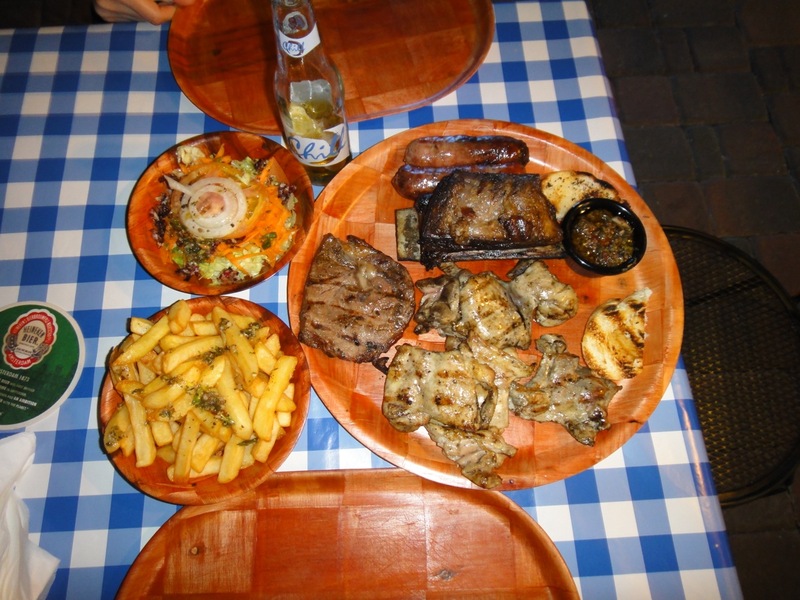 The menu is mostly grilled meats in the Argentinian style. Here’s a look at the platter for 2, which is plenty of food for 2 people, maybe 3. 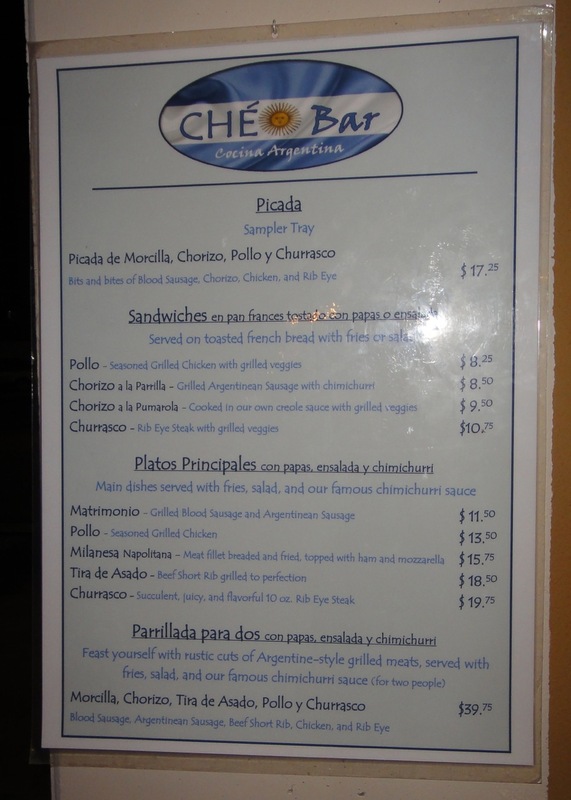 Ché Bar platter for two. 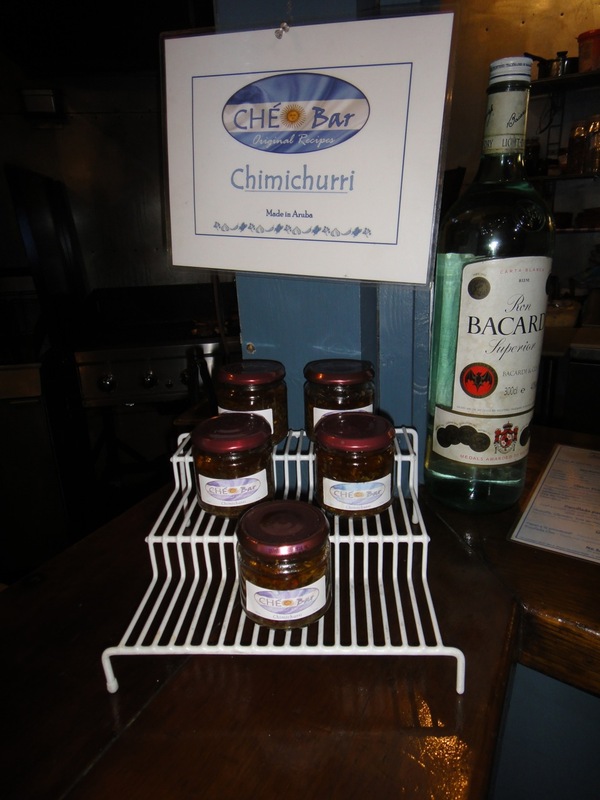 Ché Bar chimichurri sauce for take away. 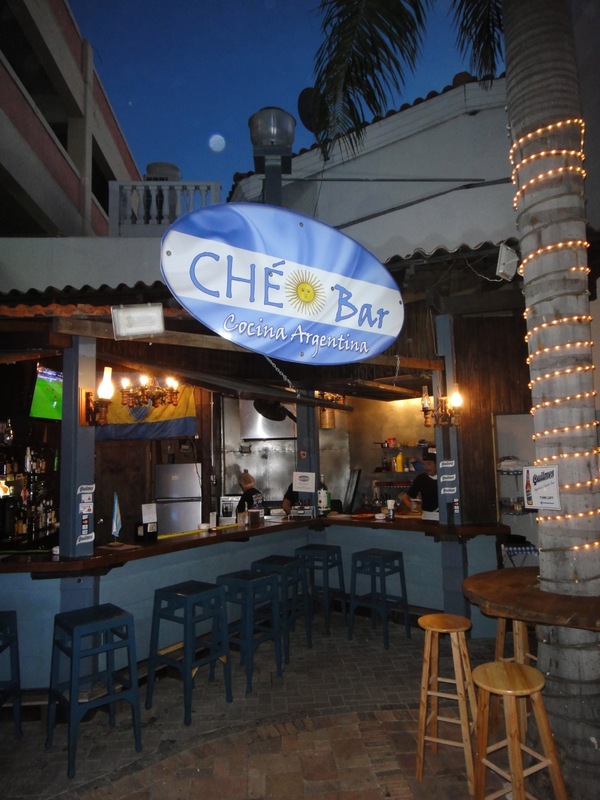 Ché Bar, Aruba, menu as of November 2013. There you have it. If you’re looking for some grilled meat and a relaxing outdoor dining experience, this may be the place for you. They also sell a special Argentinian beer that adds to the experience. Try it all!